The NPD Group and the British Toy and Hobby Association released a statement about the UK toy market at the London Toy Fair on Tuesday. And according to the statement the UK is Europe’s largest toy market, but even so sales shrank 7% year on year. Despite all that the spokesperson remains optimistic for 2019 since some of the factors that had an impact in 2018 were one off effects, like the closing down of TRU and subsequent discount sales. 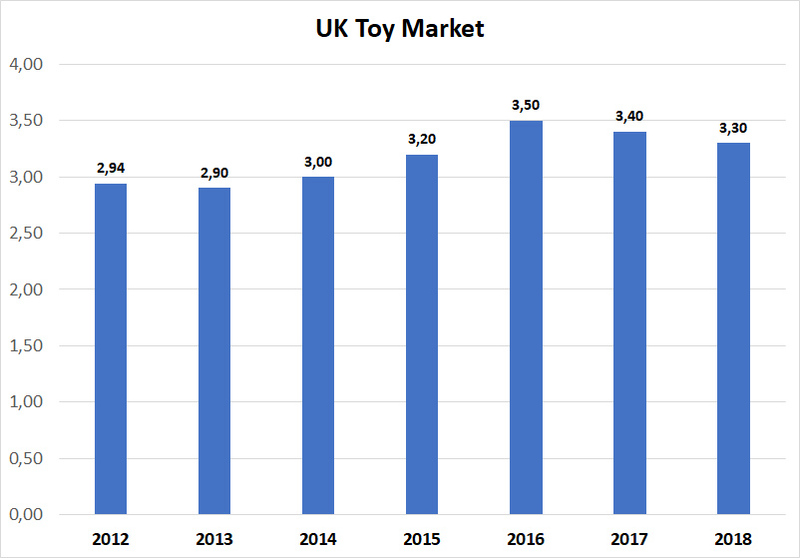 All in all the UK toy market had a size of £3.3 billion ($4.3 billion) and is the 4th largest toy market in the world and the largest in Europe. And while things were not too good in the UK some segments did incredibly well. The collectibles segment (think LOL Surprise, blind bags etc) grew by 32% and dolls by 2%. One out of four toys sold in the UK is now a collectible. Online sales grew by 8% and now account for 34% for overall toy sales in the UK. 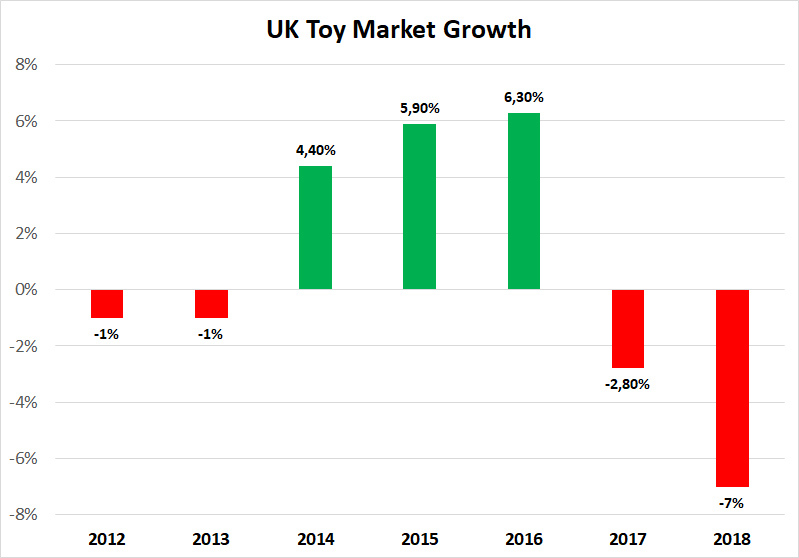 Also, specialty toy stores in the UK bucked the trend and did quite well in 2018, with high street retailers feeling most of the negative effects. The return of the specialty toy stores (something that can also be observed in the USA) is certainly good news. But it is also a new challenge for major toy companies and distributors who now have to deal with more retail partners than previously, especially with TRU no longer existing. Overall, the toy market in Europe (it was not elaborated if by “Europe” the “EU” is referred to or not) was down by 3% in 2018. As you can see the 2018 numbers are still much better than anything pre-2016. Some of that may be due to inflation. 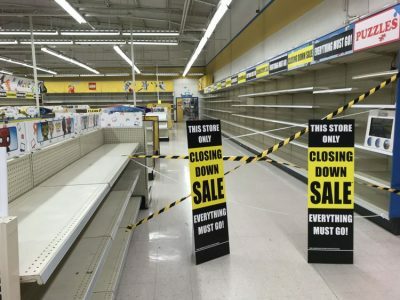 But while toy sales are down, it’s not yet the toy apocalypse. Toys are still popular. Only certain categories are struggling, according to the data, licensed toys being one of them. 2014 all through 2016 saw steady growth. Some temporary decline is to be expected eventually, but at least the statement issued by the NPD Group and BTHA has a more optimistic outlook on 2019. That being said, the decline in 2018 is quite huge, the reasons for that were given further above. But let’s talk about one of the factors cited for the shrinking toy market in the UK in 2018, licensed toys or “a year without major movie licenses”, as was said in the statement. This is actually a very surprising statement since 2018 had Black Panther, Avengers, Jurassic World and Solo. And three of these movies did very well at the box office. That leads to one conclusion: action figures and movie merchandising did not do well in the UK in 2018. Now, many JTA visitors from the UK have told us repeatedly that they were not able to find product for Solo on shelves, for example. And you can’t sell or buy what isn’t available. And it seems the Marvel movies did not really do too well either in the UK to compensate for a, most likely, weak performance by Star Wars. But without more detailed numbers we can only guess what movie licenses failed in the UK toy market. But given the general trend from previous quarters and corroborating the UK numbers with previous numbers by Hasbro and Disney it is safe to assume that weak Star Wars sales were probably a major factor in the decline of licensed toy sales. But what is really surprising is the statement that the US toy market also declined in 2018. Unfortunately, no numbers were given and no detailed report for the USA is available yet. We’ll have to wait a bit more for that. The toy market decline in the USA comes as a surprise, because for the first six months of 2018 the US toy market grew by 7% year on year. This only leads to one conclusion: the 4th quarter and holiday sales must have been very weak. This may not bode well at all for Hasbro, who will release their numbers in one or two weeks from now. And their partner brands (licensed toys) already saw huge declines for the first three quarters. I suppose the numbers for the 4th quarter might be even worse than the ones posted for the 3rd quarter. But we will know more very soon. Hasbro is expected to release their numbers in early February. Disney will also very soon post their 1st quarter results, Disney’s fiscal year ends in September and their first quarter is actually the holiday season. So, did any of that come as a surprise to you? Especially the shrinking US toy market? And maybe our friends from the UK can tell us what they experienced at retail in 2018 and what products they could or couldn’t find.